2013 Vancouver Craft Beer Week opening night gala at the Roundhouse Community Arts & Recreation Centre and closing beer festival (day one) at River Rock Casino Resort on May 31 and June 7, 2013. Published in Vancouver Is Awesome. Burp. 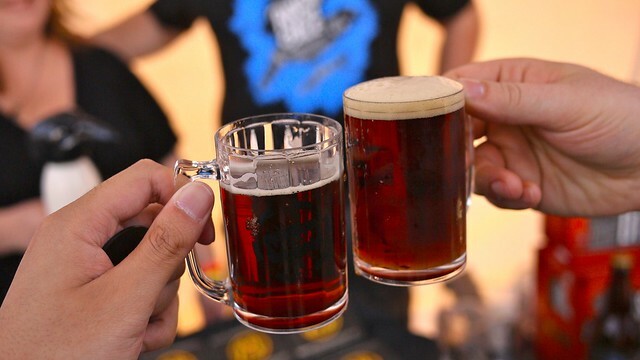 That was the sound of VCBW's week of beer celebrations. 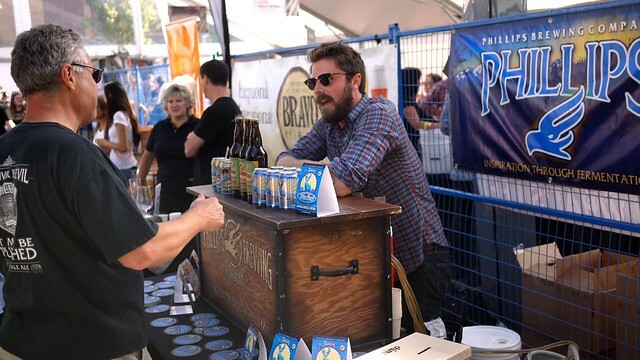 With brews and ales from all over North America, including Victoria's Phillips Brewing (above) and their tasty Blue Buck Ale. I hit up the opening night gala (not sure about the "gala" part) with Sandra (very top) and my Batman/Joy Division mashup t-shirt at Yaletown's Roundhouse for a night of many beers. 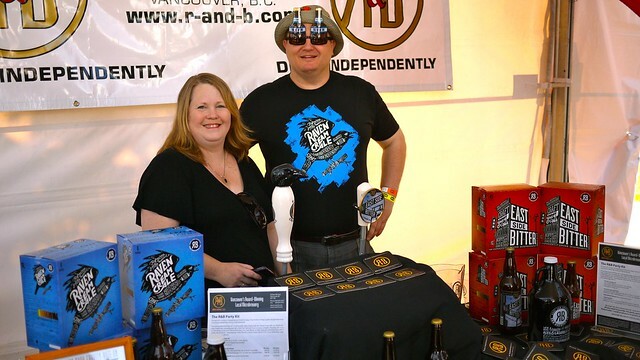 After a week of diverse festivities all over the city, celebrating craft beer culture, VCBW closed things off with a the two-day weekend closing beer festival and garden at the River Rock Casino in Richmond. 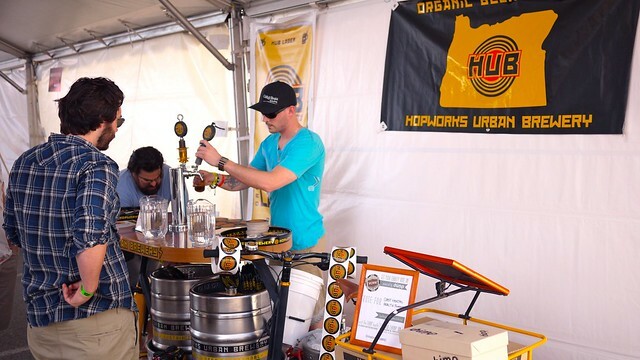 Portland's Hopworks Urban Brewery had one of the more inventive, visually interesting set ups with this bicycle table top bar. I, of course, had to have a mini mug of my favourite local beer on tap from Mount Pleasant, R&B Brewing's delicious Raven Cream Ale. 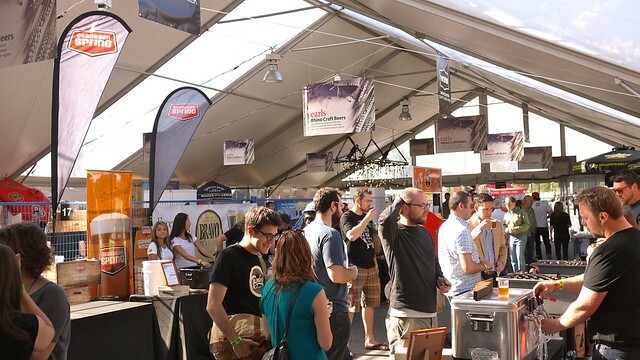 The week and its many nights of beer swivelling and drinking made the closing festival a sunny tent-filled brew fest. Cheers!